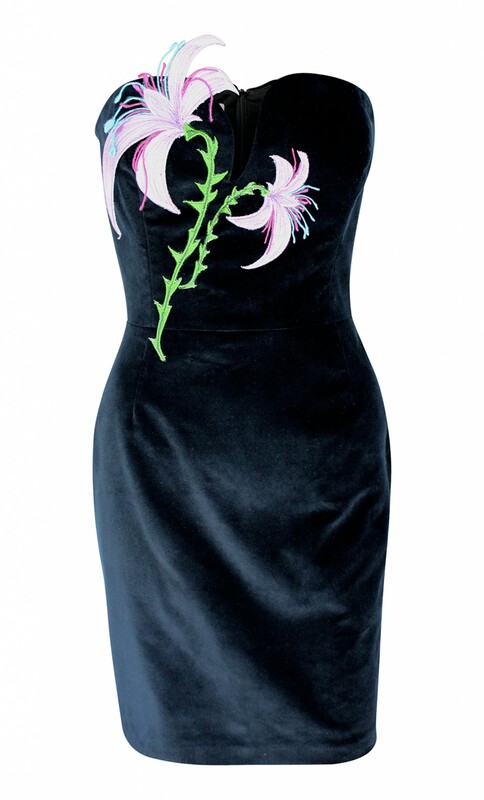 The strapless little black dress is crafted from a lustrous velvet and embellished with two embroidered lilacs. 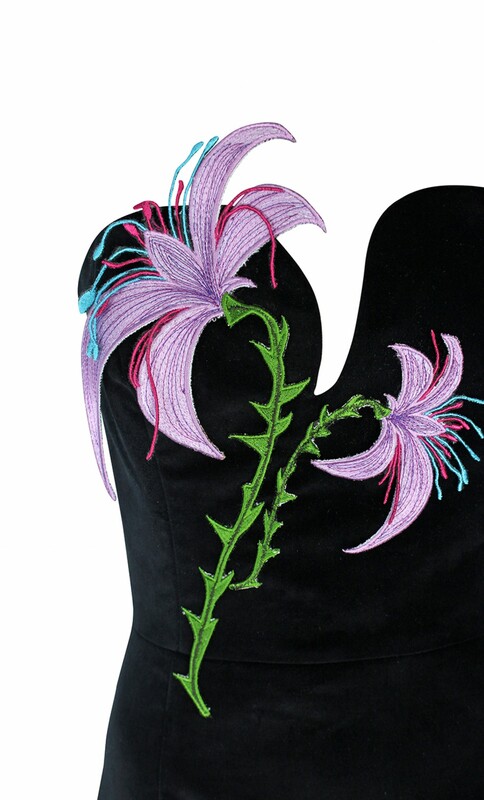 The lilacs are appliquéd along the asymmetric neckline of the dress. 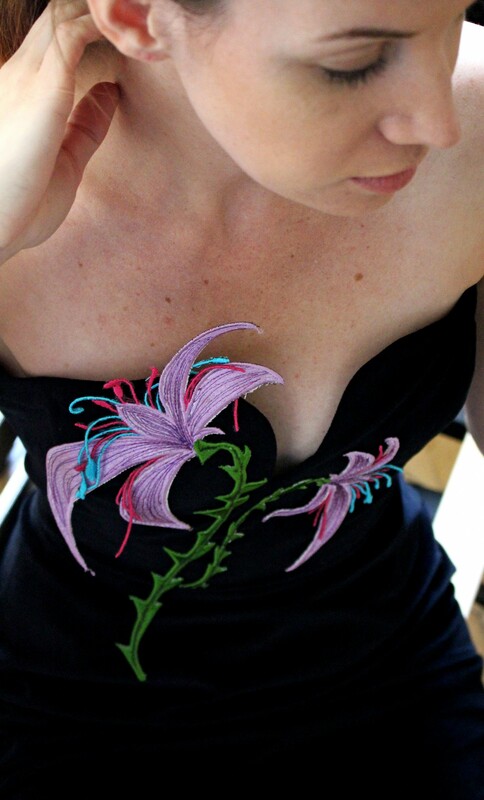 Fitted and boned bodice, invisible zipper at the side. back vent, fully lined.